Puppets will invade The Negros Museum on Saturday, October 2, 2010 at 4:00PM for a free puppet show for all kids of Negros. 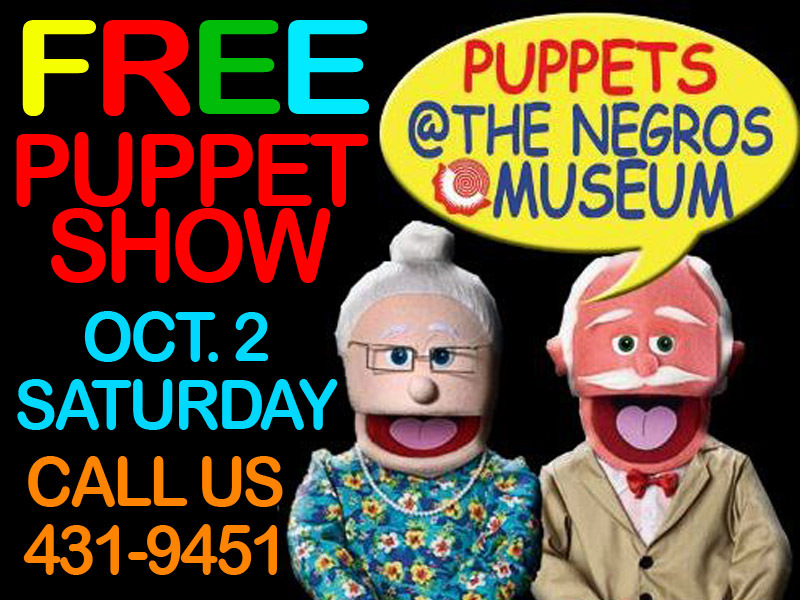 The Negros Museum would like to invite kids of all ages, parents and friends of the museum to come and enjoy the final output of the Puppetry Workshop Class 2010. Interested individuals and larger groups from schools and organizations are advised to call ahead for reservations. 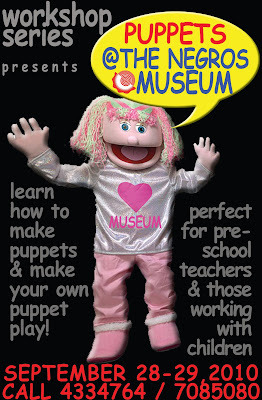 Make-your-own-puppet kits and other materials for puppetry will also be sold at the Museum Shop. For more information, please contact the museum at Tel. (034) 4319451 / 7085080 / 4334764 / 09213307861 or email us at negros_museum96@yahoo.com.